When Apple decided to open its first Brisbane store, the natural choice was Chermside. The Apple Store opened in 2009 and has been a hive of activity ever since. 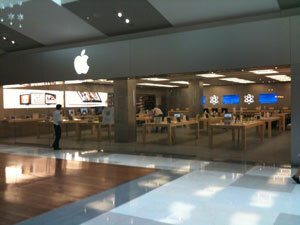 The Apple Store Chermside is no different to many other Apple stores throughout Australia, featuring popular Apple products such as the iPhone, iPod and iPad. Located in the newest section of Westfield Chermside, the store is a must for anyone wanting to check out the latest in electronic devices.